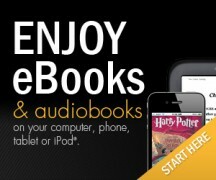 Download ebooks and digital audio books 24/7 to your PC, smartphone, iPAD, eBook reader, and many MP3 players from the convenience of your own home or office space. Choose from number of best-selling titles. Now the library never closes! CLICK HERE TO ACCESS Make sure you have your library card barcode available. Recorded Books offers its digital audio content on its new OneClickdigital eContent platform for Connecticut Libraries. OneClickdigital offers exclusive Recorded Books content, as well as thousands of eAudio and eBook titles from other publishers in the same user interface. Downloading is quick and easy! CLICK TO ACCESS Make sure you have your library card barcode available. We’ve expanded our digital offerings with a collection of kids downloadable e-books and audiobooks, including colorful e-picture books! Navigate to our Kids Digital Collection and be prepared to sign in with your library card barcode! Please feel free to call us at 860-542-5075, email us or drop into the library for assistance. 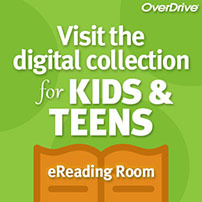 The Teen E-Reading Room, from Overdrive is an exciting addition to our Young Adult collection. It includes nearly a thousand current and popular fiction and non-fiction books, and classic YA fiction, available as downloadable audio and e-books. Be prepared to sign in with your library card barcode! Please feel free to call us at 860-542-5075, email us or drop into the library for assistance.